CS GO Streaming Version is released. Have fun streaming while cheating! Have a Payment Issue? Send us a Support ticket. Make a thread if you need support or join our discord for live support. Have Suggestions? Make a thread and you'll earn Ghbsys Points for implemented suggestions. Welcome to [GHB] - GAmEhAcKbAsTaRdS Forum, like most online communities you must register to view or post in our community, but don't worry this is a simple free process that requires minimal information for you to signup. 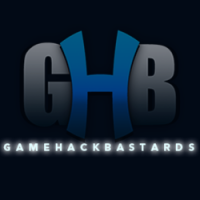 Be apart of [GHB] - GAmEhAcKbAsTaRdS Forum by signing in or creating an account. Do you like the Staff-work on GHB? 1. Do you like the Staff-work on GHB? Yes I like it very well. No, I dont like your work here. Interests:FPS, Dirtbikes, Racing, Hip-Hop, Snipers, USAF (im a future Pilot), And Just About Anything Fast Enough To Do Something Stupid In!! it would be better if the hacks would come out faster.. 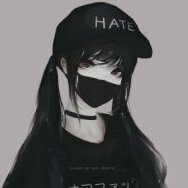 Combat arms is fun but OP7 and CF i havent even seen in action..
and TMNF.. well.. LOL im not going to even try the game..
Lolz anti ban maybe no just kidding i know its not possible.. umm hmm.. maybe exp and gp hack? ;O ? is that possible to make? hmm also anti kick thanks ur awesome! hm i just bought for 1 month lets see.. if is nice i countinue this hack site! ITS GOOD THOUGH! Also I support a lot on skype too the last time, don't know why everyone is using skype out-of-the sudden. Almost everything is for Vip, so and ther are much inactive peoples. Location:Yeah, where it shal be? But I see some Staff Spamming?! To reply to my email lol, i've sent it like 4 times..
Everything is fine But make vip hacks more faster!!! : D: no joke.... Good job team! The staff can be better! I asked them nicely to make a public hack and they said: no mikey, stfu and that sort of languange. They can be more nicely and make hacks that work! Right now non of the public hacks for warrock works! well its ok but can do better becuse some of the hacks dont even work for NA and a hack didnt work for me and still usman tried to help me but no luck so ya i think they should make hacks that they post should be more clear or somein. Well, i like this Community! Maybe you could offer more functions in the hacks, but it must be remembered that this is not only a VIP Hack site. This is hacker community, and i think one of the best. This is not some of this sites which only got the $ simulars in its eyes like mysuckss. 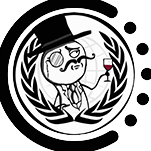 There are so many sites which are overvrowed which V.I.P offers, but this site is really hacker Community Site. Well, i have to correct my written downed: I dont like it here. I love it here. Im bought i book 'bout c++ and im goin' to read it and learn c++ in my christmas holidays. So i hope i'll be a bit supported by more experienced peoples who made hax, yet. I think it can be better . First the most admins , mods ... are mostly unfriendly and don´t help you , wenn you need them. If you ask sth. 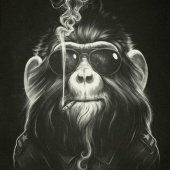 about the VIP hack they bann you from Shoutbox and don´t answer on PM´s. BUt the hacks are great. well i did pick, the first option.